The decade from 1990 to 1999 marks an important part in China’s history. China’s “Open-door policy” from 1986 to 1990 brought a market economy and the private sector. Many of the post-90s generation (九零后, those born in the 90s)—having been born after much of the recent upheaval and a time when the country had long been accustomed to the one-child policy—have grown into open-minded and confident young adults. “Post-90s grew up under a stable political environment and enjoyed the fast-growing economy of China. They have not experienced any major social change, unlike the previous post-70s and post-80s. Therefore, this generation is very confident,” Tony Park, the Managing Partner of LB Investment China told TechNode. Post-90s kids are known to be tech-savvy, as they were the first generation to access the internet starting from childhood. The post-90s’ average age of first internet experience is 7.53 years and the daily usage time is 11.45 hours per person on average in 2014, according to Baidu. They account for 26% of China internet users in 2015 according to CITIC data. They also became the main consumers of Alibaba’s e-commerce platform Taobao and Tmall; 86.8% post-90s shop online to reduce the cost of clothes and bags. A report from Tmall Global and CBNData show that young buyers (defined as those born after 1988) now account for nearly half of all consumption on Tmall Global. Now the eldest of post-90s generation, people born in 1990 are 28 years and have already started their career; some have even started their own businesses. There are many successful post-90s founders: Dai Wei, founder and CEO of Ofo, the bike rental company that expanded to three continents. Nie Yunchen, founder and CEO of Heekcaa, a flavored tea company that quickly expanded to main cities in China. Li Jing, 25 years old, is Baidu’s youngest-ever vice president. We interviewed three post-90s generation founders in Shanghai to see how they are disrupting the traditional market with their own fresh and creative ideas. Jiang Jun, the founder of gamer glasses brand Zedot, used to play Tencent’s top-grossing game Honour of Kings ten hours every day, for two months whole months. He began to notice that his eyes were inflamed and irritated, but glasses that filter blue light helped to alleviate these symptoms. He found a lot of different brands that do this, but they were mainly from Germany, US, and Japan. He was surprised to find that the design of these glasses wasn’t very pleasing. “How can those glasses make a good-looking guy like me to an ugly guy? I just couldn’t stand it. I thought I can make surely better design than that one,” Jiang Jun, CEO of Zedot told TechNode. Jiang Jun hails from a family that has run a glasses business for 20 years, and he knew the industry very well. Jun, a Shanghainese, is from an affluent family and as a market planner at China’s leading media Diyi Caijing (第一财经), had a monthly salary of RMB 20,000 ($3,010). 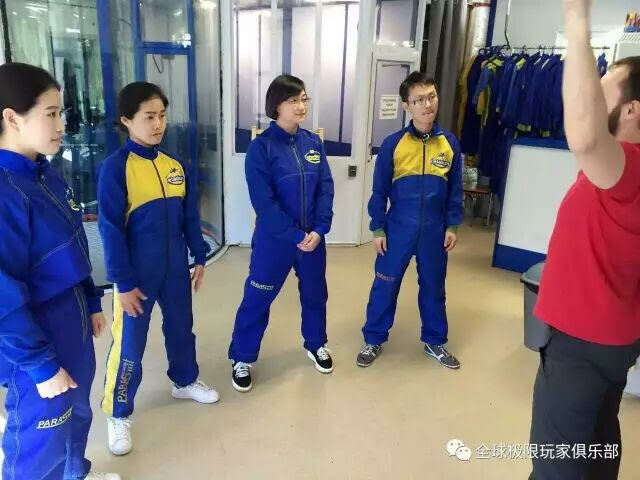 Jun’s six Shanghainese friends, who later joined him, also gave up their monthly salary of up to RMB 30,000 ($4,516) to join the company. Except for one, they are all post-90s. “If you are Shanghainese, generally speaking, you have a house, you have a car, and your conditions are not so bad. You’re stable, but you don’t want to work for somebody, and you want some achievement,” Jun remarks. 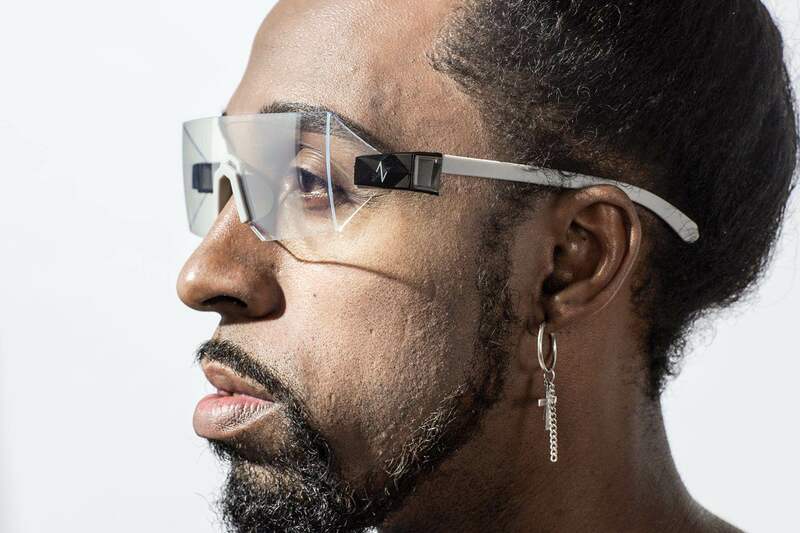 Targeting the gaming market, the team aimed to develop gamer glasses that alleviate digital eyestrain. Yet, Jun wanted an all-new design and wanted a designer who had no knowledge of glasses to take part in the design. Jiang Jun found a designer who won a Reddot design award to come up with Zedot’s design. Their glasses have a small space near the lens that holds water so gamers can keep their eyes moist during long sessions. The market is big. There are nearly 560 million gamers in China and 36% of them spend money on games, according to Newzoo’s 2016 data. To sell glasses for RMB 399, Jiang is collaborating with gaming platforms in two ways. First, he started a top-tier computer supply distributor Taidu, known for their futuristic computer equipment. Taidu is the exclusive distributor, allowing Jian to focus on product development. Second, he found marketing channels such as gaming and game live streaming companies to raise awareness of the glasses and their benefits. Jun also gave advice to those who are currently working in a company and getting ready to start their own business on the side, just like him. Can you imagine Chinese tourists spending more than $10,000 overseas, just to have military training for three days? 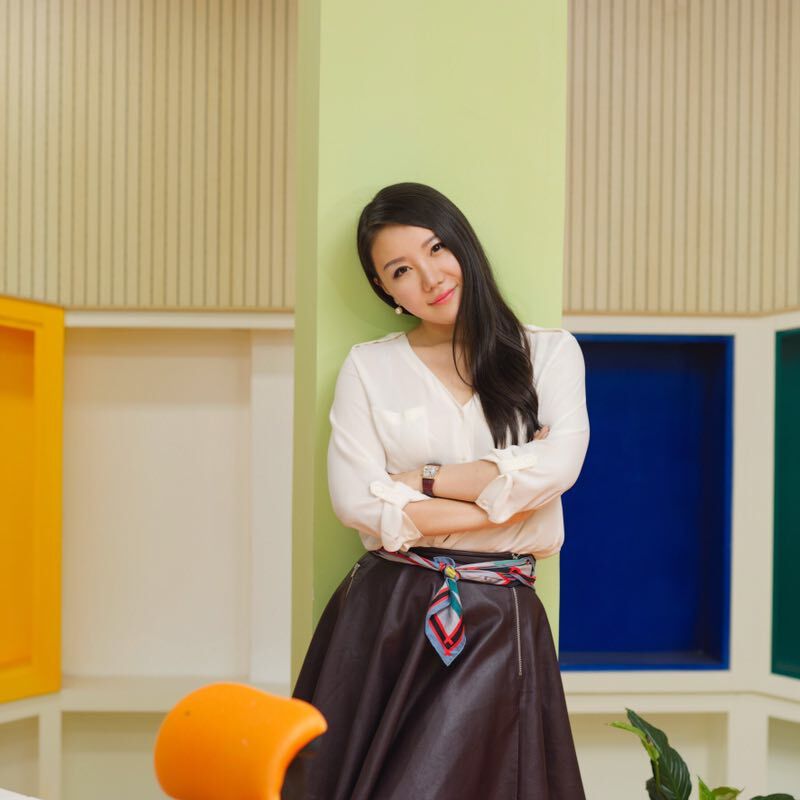 This is serious business for a startup founded by 27-year old Prescilla Li. “Chinese travelers are experiencing a shortage of travel destinations. Apart from polar expeditions, traveling overseas by car, and purchasing artworks in Europe, what can you imagine?” Prescilla Li, CEO and co-founder of The Global Extreme Players Club says. Started in August in 2015, The Global Extreme Players Club is a travel startup specializing in extreme sports and military experience at sea, air, and land. Their customers are willing to pay $10,000 and above to spend on trips, ranging from 3 days to 3 months, to try out global military experience, hunting, extreme sports and flights to test their courage and try their limits. She says that her customers range from post-90s to older, mostly coming with friends, sometimes with their family members. And these aren’t the types that boast on WeChat moments, preferring to share with their inner circle instead. They include investors and high-net-worth entrepreneurs from China. Now the most trending spot is Russia and Ukraine, and where their clients ride tanks, planes, and submarines. Born in Beijing, Prescilla Li was a normal travel tour guide, and she used to lead her guests to go golfing, fishing and sightseeing. As she kept doing the job for two years, she found that her customers had special needs more something more adventurous. After traveling more than 20 countries and longtime contemplation of starting her business, Prescilla and her co-founder, who also loved extreme sports, decided to start the club. “Our first destination was Mexico. When we set up new operations, we first conduct surveys with local people to ask what they think is the most valuable adventure they can do. Then we approach the local military. After signing a contract with the local military, they receive the first group,” she says. The Chinese company signed a service agency partners with a French company and currently, French tourists are also using their resources to enjoy the same experience. The number of Chinese returning after getting their degree (海归, haigui, a play on the word for sea turtle) is increasing rapidly. According to Ministry of Education, there were 2.5 million Chinese students who had studied abroad coming back to China. 76.4% of haigui started their business in China from 2015. After getting a double degree in mathematics and statistics from the University of Toronto, Angela Wang came back to China and co-founded Micro Capital, a cross-border venture capital platform investing and supporting the pioneering projects in big data and its verticals. With outstanding investment performance, including Wuxi Bing Jian Technology, they made 6x ROI. “We made a huge financial return. But, helping entrepreneurs was not enough for me. I loved and admired entrepreneurs so much that I wanted to become one of them. So I decided to start a startup myself,” Angela Wang, CFO and founder of RiverPay told TechNode. Passionate about numbers, she found a market in North American overseas merchants. With the number of Chinese tourists to the United States increasing every year, overseas merchants need to offer Chinese mobile payment options. A whopping 2.97 million Chinese tourists traveled to the US in 2016, spending a total of $33 billion, according to a report compiled by the National Travel and Tourism Office (NTTO). “North America’s payment lags far behind that of the cashless society in China. Our target was a North American company that has Chinese as their main consumer base, who had pain points of providing Chinese mobile payment options,” Angela said. RiverPay slowly expanded to different cities in US and Canada and is currently cooperating with thousands of high-end merchants in North America, including Holt Renfrew, one of the largest luxury chain stores in the world, Harry Rosen, Canada’s top-end menswear, and hundreds of other well-known boutiques including Tiffany, Van Cleef & Arpels, Chloe, Balenciaga, Givenchy, Porsche, BMW, and UPS. The company is currently profitable by charging service fees to businesses that use their Alipay and WeChatPay payment solutions. “We hire business development teams in more than 20 cities, including LA, New York 5th Avenue, Toronto, Vancouver, Saipan, Las Vegas and Hawaii,” Angela says. The fintech company’s strength lies in their self-developed cash register integration technology that can quickly dock with dozens of mainstream business ERP system and is currently patent pending. To offer Chinese mobile payment options in the region, RiverPay follows compliance requirements from U.S. and Canada regulators, as well as the payment networks including Alipay and WeChatPay. They also formed their own big data industry chain, to provide precision marketing services to North American businesses. “We hope that in the next five years, we will thoroughly subvert the payment industry in North America and transform the status quo of Chinese cross-border payments. In the past when we talk about technology, we used to say ‘Copy from USA’. Now we are doing ‘Copy from China’,” Angela added. The female co-founder also wants to change the trend of male entrepreneurs dominating the fintech and investment business arena. “We need more female CEO leadership in fintech and VC. It’s currently 80% male dominant. We need more woman. Male has the tendency to be logical, while female is more attentive to details. Female executives are more likely to pay attention to employee’s emotions, and put importance on human-oriented rather than working-oriented atmosphere,” she says. Brought up in a more affluent environment than their previous generations, post-90s come with new consumer’s view, seeking more value in product and service, such as better design, new experience, and convenience. They also had working experience in the traditional industry and wanted to shake up the status quo in their own lives and in the market. The post-90s in China are expected to reach 31.3% by 2050 according to data from the United Nations, meaning that post-90s will be the driving force of China’s future development and consumption. Keep your eye on this generation, and get ready to be challenged by them, as they might be relevant for your future customer or your future employee or even your future boss.